Information Technology presents the marvels of technology in its best forms. All the things that once seemed impossible have now become a part of our daily lives. No doubt, today, we are practically able to do everything that could only be done in the Utopian world some time back. In today’s time, an individual can access any kind of information anywhere provided that he uses the necessary setup and an Internet connection. Not only does the IT industry offer ample opportunities to young and talented professionals, but has also contributed to the growth stories of economies across the globe to a large extent. At present, the IT potential of a nation is an indicator of its progress. It has indeed emerged as one of the most important parameters to compare the economic prosperity of a country. Moreover, it also symbolizes the competitiveness of an economy. We cannot deny that the growth of technology has really been stupendous in the decade that has gone by. Often, organizations find it difficult to match steps with advanced technologies. No matter how beneficial technology is going to be, it is practically not possible to integrate the existing organizational setup with the latest technology. This holds good for IT companies as well. At times, the complexities of a technical solution are enough to give sleepless nights to the management of a company! An unpredictable business environment and volatility of corporate setups have forced IT companies to render the much-needed mobility to their services. In addition, the emergence of cloud computing and mobile networking has added to the ease of customers who can easily access the services offered by an enterprise. Since the number of Internet users continues to multiply every second, it is not possible for an IT organization to survive in the absence of customer support. Vcall Global understands that the customer service outsourcing function of a company operating in the IT industry is no less important than a revenue-generating process. Moreover, with improvement in the standards of service quality and the customers expecting something additional to what is being offered to them, one cannot deny that customer care is not less than a weapon for enterprises. Software Development: We give preference to the welfare of our clients. This is the reason we always adopt a methodological approach to our work. We try to develop solutions that cover various stages of the software development life cycle. Since the requirements of every client are different from that of the other, we provide flexible, secure and scalable business solutions. IVR Support: Since the management of customer calls is one of those business challenges that eventually affect one’s business to a large extent, we take care that the needs of your business are met without any kind of delay. 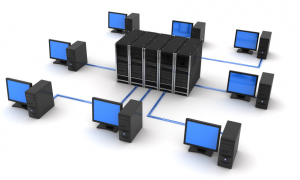 The 24×7 availability of our exceptional hosting services caters to your business needs. We make sure that technology is utilized in an appropriate manner, leaving no room for any kind of inconvenience. Infrastructure Support: At times, looking after the technical aspects of an organization’s infrastructure turns out to be an arduous task. In such situations, enterprises take the decision to outsource. We are one of the few service providers that ensure round-the-clock support as well as effective management of your technical infrastructure. In addition, our help desk services also address your in-house as well as external requirements in relation to technical support. Get in touch with us to join the league of industry bigwigs!